This great new bed frame from obc offers a traditional much loved style of frame in 2 colours satin black or satin white painted finish. 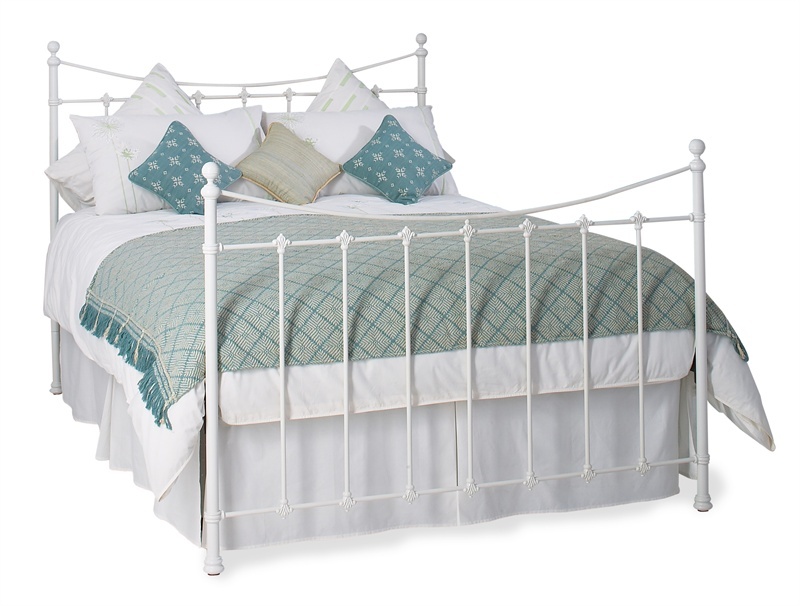 Each original bedstead frame is made using steel to offer a strong and durable construction and is supplied with a sprung slatted base . This frame like all obc frames is supplied flat packed for home self assembly in 3 sizes .